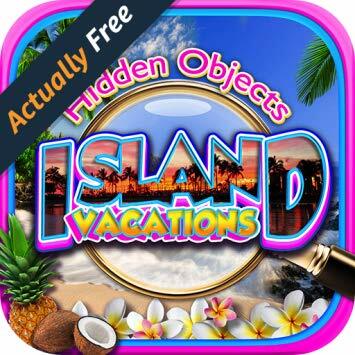 Hidden Objects – Island Vacations is a beautifully designed Seek & Find game with 25+ Tropical Beach Destinations! 100’s of Objects to Find! FREE GAME! NO Ads! Vacation to Islands Around the World! Explore breathtaking Hawaii, Caribbean, Bahamas, Bora Bora, Bali, Fiji, Cayman Islands, Turks and Caicos, and more finding hidden objects! Enjoy a Tropical Beach Vacation! Get some much-needed Rest & Relaxation and find tons of objects! FREE App! NO Ads! Levels vary from easy to difficult. A fun, object quest challenge for Hidden Object, Puzzle, Seek & Find, Spot the Difference, Brain & Word fans! Brain Challenging Adventure! A Summer Vacation Quest!